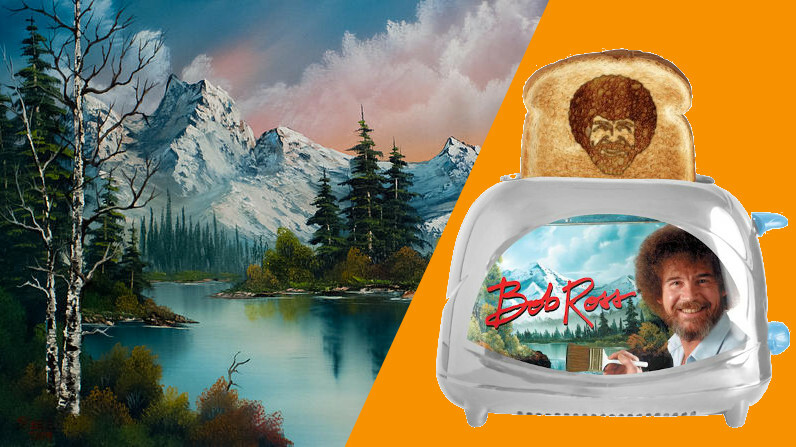 The Bob Ross Toaster Shows How Technology Can Make Breakfast Even Better. By now you’ve surely seen the Virgin Mary emblazoned on the side of a piece of toast. Congrats, but have you seen Bob Ross? It was only a matter of time before American painter turned meme Bob Ross found his face and gargantuan afro on the side of a piece of toast. This time around it wasn’t claimed to be the product of a divine miracle, though. A team of insane inventors woke up one day and decided that making a Bob Ross Toaster would be a good idea. With this, not only does Bob Ross toast exist, you can make hundreds of them if you wish. The Bob Ross Toaster is very real and a great example of how technology can make our lives better. Don’t believe us? Check it out in action (the video is less than a minute long). It mostly works, even if the afro doesn’t come out perfectly every time and his face looks more like Mr. Tumnus from The Chronicles of Narnia rather than the wonderful human being he was in real life. Even then this thing costs $40.